In species-rich California, regional Habitat Conservation Plans (HCPs) are becoming a common means of planning for conservation and development at the landscape level. HCPs have become one of the most important tools in resolving conflicts between development and listed species. They are viewed as streamlining environmental regulation and supporting the expedient economic development of millions of acres of land in a manner that is consistent with state and federal laws. In addition, they are viewed as providing local stakeholders and policymakers with a stronger voice in directing future growth and development in areas with listed species. EPS prepared a white paper on the “Economic Effects of Regional Habitat Conservation Plans” for the California Habitat Conservation Planning Coalition. This white paper evaluates the hypothesis that regional HCPs confer substantial economic benefits to the private and public sectors. The study draws conclusions on the economic effects of regional HCPs through the lens of four different California case studies (San Diego, Riverside, San Joaquin and Contra Costa counties) as well as prior professional reports and academic papers that have examined similar questions. 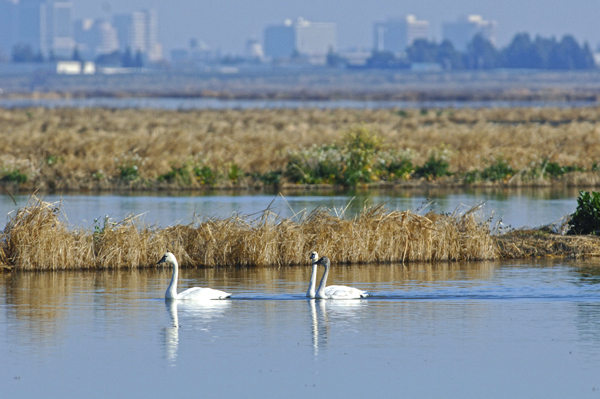 The California Habitat Conservation Planning Coalition and other regional HCP advocates have successfully relied on the EPS report to build support for HCPs around California and the US, including in Washington DC, where the EPS “metrics” were much in demand from policy makers and legislators.